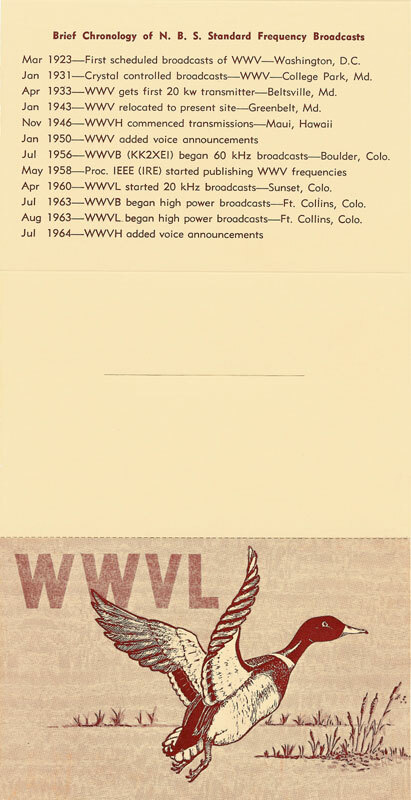 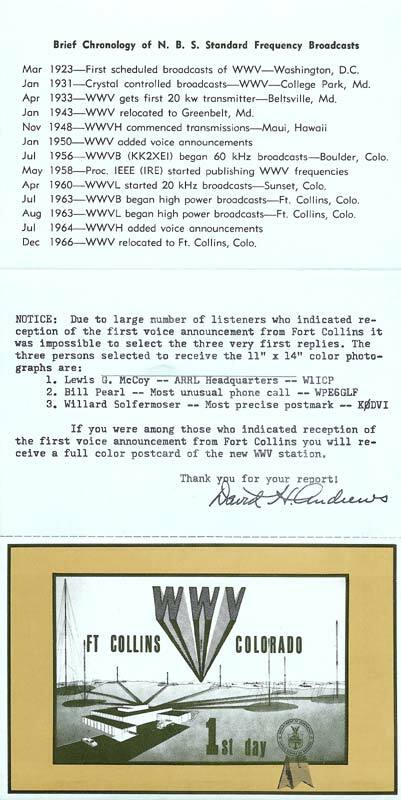 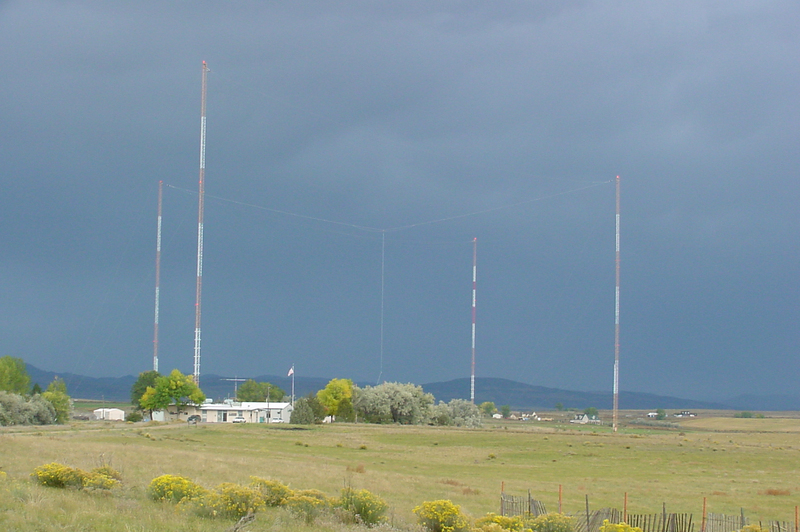 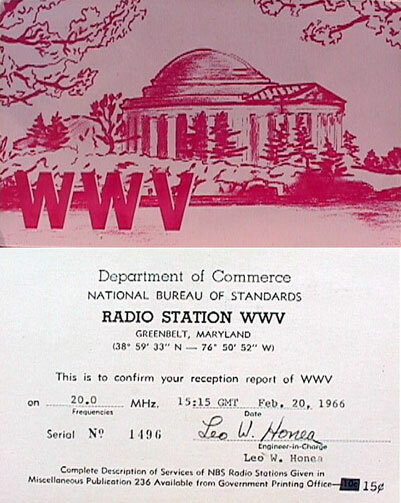 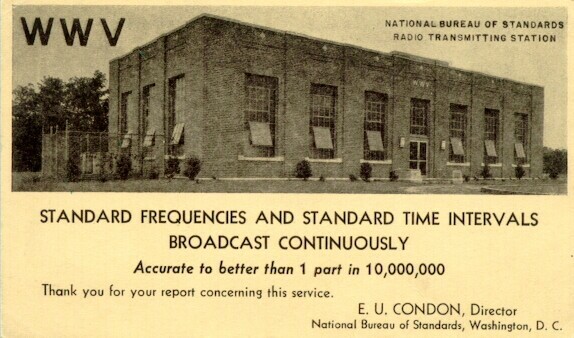 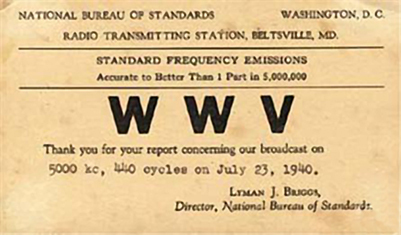 Like many other radio stations, WWV, WWVH, and WWVB send QSL cards confirming reception of their broadcasts to listeners who send reception reports, generally from locations outside the United States. 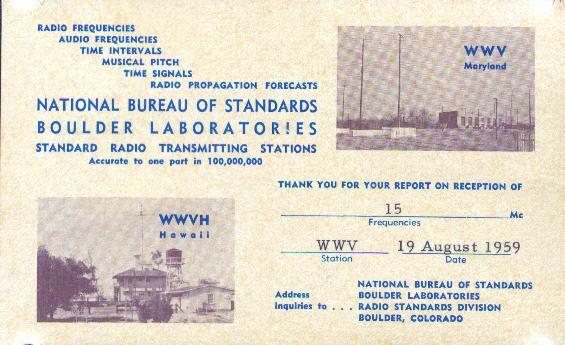 WWV has received reports from as far away as the South Pole, and reports from Europe, Asia, and Australia are common. 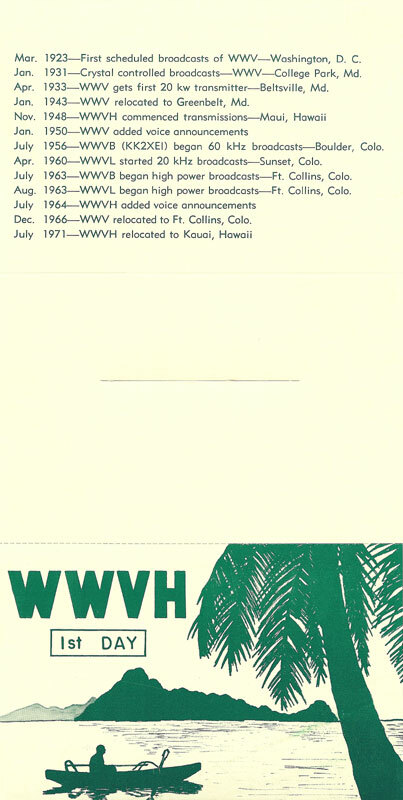 WWVH has received reports from as far away as South Africa, a distance of 19,300 km (12,000 miles) from Hawaii. 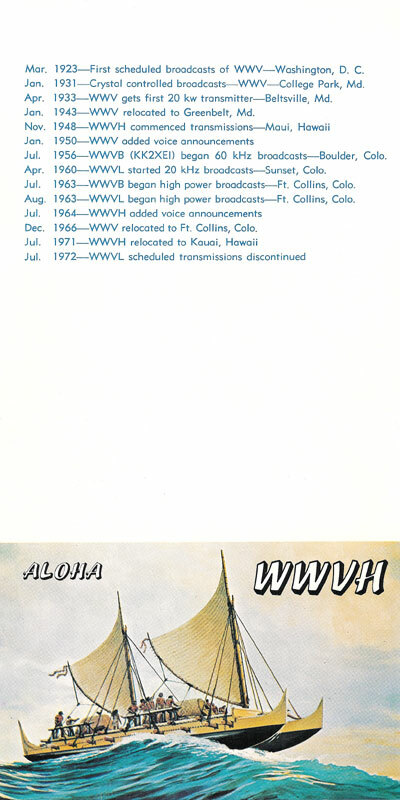 This page shows photos of some of the QSL cards sent by the NIST stations.